For use with Shimano Deore XT CS-M760 9spd Cassettes. is the above product compatible with my shimano hg 7 speed cassette where I need to replace my 16 t sprocket. if not can offer an alternative. 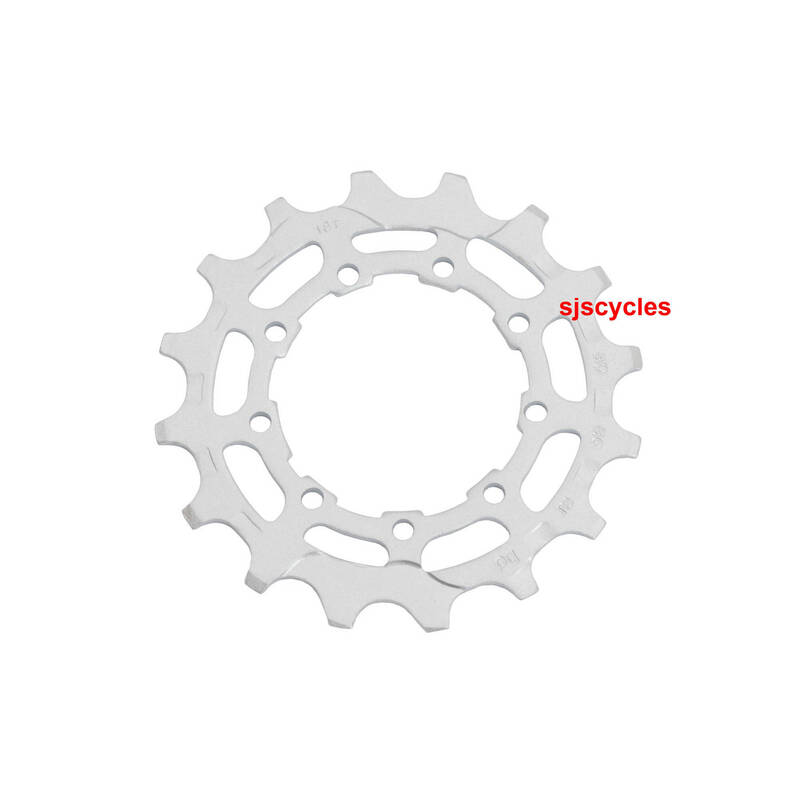 This sprocket is designed for 9spd cassettes so will not be suitable for use with your cassette. We do not have any sprockets compatible with 7spd cassettes available in 16T either I'm afraid. We only recommend fitting this sprocket with a 9spd cassette. The only 10spd ones we have are the for Shimano's Dura-Ace and Ultegra groupsets, they are SJSC part numbers 30229 and 30243. Is This Sprocket Compatible With A 10 Speed Cassette? Having fitted a 40t range extender sprocket to my 10sp XT cassette, which necessitated the removal of the 17t sprocket, I want to adjust the ratios available to avoid the massive jump from 15t to 19t... this would allow me to have 13t, 16t and 19t as adjacent ratios. Unfortunately this sprocket is only compatible with 9spd cassettes so would not work with your cassette.